UW-Stevens Point has a nursing option in partnership with Mid-State Technical College, Northcentral Technical College and Nicolet College. The 1+2+1 nursing partnership program (1 year at UWSP + 2 years at Partner Program + 1 year at UWSP) offers an opportunity for high school graduates to earn both an Associate Degree in Nursing and a Bachelor of Science Degree in Nursing (BSN) through the collaborative programs of UW-Stevens Point, Mid-State Technical College (Stevens Point and Wisconsin Rapids), Northcentral Technical College (Wausau) and Nicolet College (Rhinelander). Students entering the program can experience the traditional college opportunities, including: living on campus, NCAA athletics, and participation in student organizations while also taking advantage of the high quality, nationally accredited expertise of UWSP and our partner programs. Students may begin their coursework at either institution by taking general education courses in addition to the partnership program’s Associate Degree in Nursing (ADN) admission requirements. It is possible to be dually enrolled at UWSP and the local partner institution to complete these requirements. For students beginning at UWSP, each semester, the program provides a competitive application process for UWSP students to gain entrance into our partner programs at Mid-State, NTC or Nicolet ADN program. This program provides an efficient and affordable path with NO waitlists, to becoming a Registered Nurse (RN) in Central Wisconsin. Upon completion of your ADN, students then complete the RN-to-BSN Completion Program with UWSP. The RN to BSN Completion program requires students to have an Associate Degree in Nursing. UWSP has a long-standing collaboration with UW-Eau Claire and Marshfield Medical Center in Marshfield, Wis. 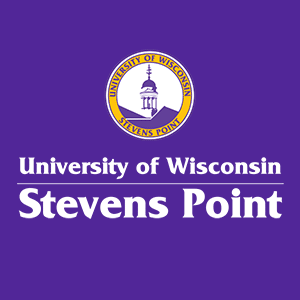 In this program, students spend 3-5 semesters at UW-Stevens Point, completing courses needed to apply to the UW-Eau Claire School of Nursing, as well as courses that fill UW-Eau Claire general education requirements. Upon acceptance to the UW-Eau Claire School of Nursing, students complete five semesters of nursing courses at Marshfield Medical Center in Marshfield, Wis. Upon successful completion of the program, the BSN is awarded from UW-Eau Claire School of Nursing.